Take, for example, Germany. Here, the question of trust in companies is taken very seriously. Therefore, the magazine WirtschaftsWoche regularly publishes its ongoing research into levels of trust in companies after polling more than 300,000 people. 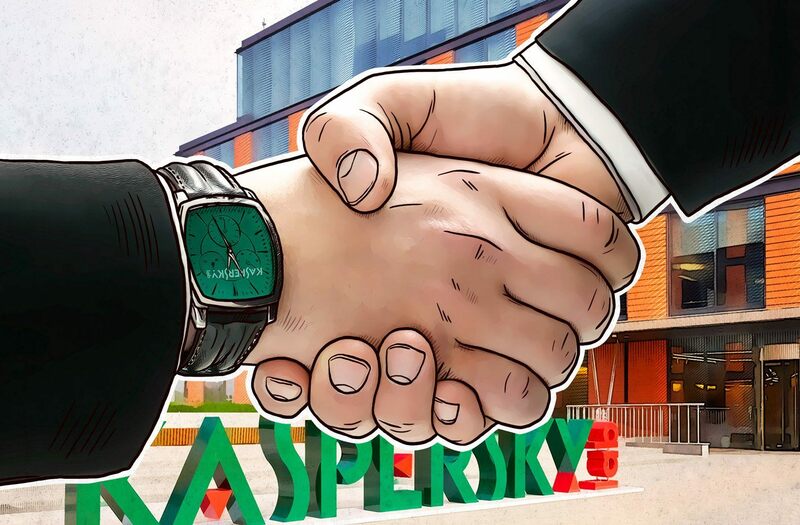 In the ‘software’ category (note – not antivirus or cybersecurity), we are in fourth place, and the overall level of trust in Kaspersky Lab is high – higher than for most direct competitors, regardless of their country of origin. Then we see what happens when governments use facts to decide whether to trust a company or not. Example: last week the Belgian Centre for Cyber Security researched the facts regarding KL and found they didn’t support the allegations against us. After which the prime minister of Belgium announced that there is no objective technical data – not even any independent research – that indicates our products could pose a threat. To that I would personally add that, theoretically, they could pose a threat, but no more than any other cybersecurity product from any other company from any other country. Because theoretically any product has theoretical vulnerabilities. Taking into consideration our technology transparency efforts I’d say that our products pose less threat that any other products. Btw, we conducted our own research into the question of trust. Not in us, specifically, but in general. What do folks tend to trust, and – just the opposite – what are they afraid of? The results were really interesting. For example, it turns out that what both home users and businesses fear most of all are not demonized foreign companies but cybercriminals. In second place it was their own governments! We also found that 55% of businesses and 66% of home users reckon that governments, in deciding on suppliers of products and services to use, should be guided first and foremost by quality – not geopolitics. And when it comes to deciding on suppliers of products and services relating to matters of national security, those percentages are even higher. Which brings us neatly back to the high quality of our products (something I’m very proud of). But not just in my opinion. 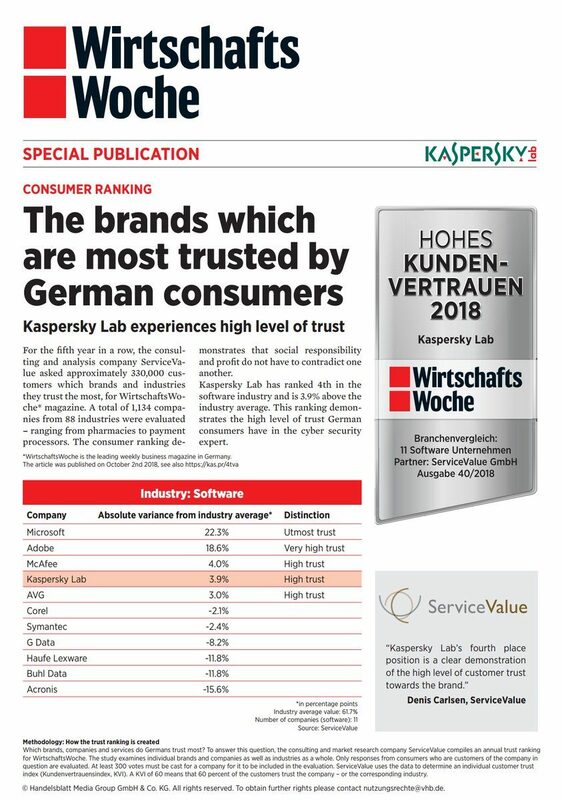 Besides the mentioned customers and independent tests, excellence of our products and services is confirmed by independent analysts themselves. Example: We are among the list of top vendors in the new research by the U.S. market research company Forrester looking at the market segment of services for investigating cyberthreats: Bottom line – our experts’ skills are trusted. Oh, and our company financial results confirm that convincingly: folks vote for us with their wallets. Still, there’s no such thing as ‘too much trust’. Yesterday, at the Paris Peace Forum, we supported the initiative of the French government to raise levels of trust, security and stability in the digital world. I hope that its development will win out over mistrust and fear, and mean that balkanization of the internet will never happen. And of course, I hope that this initiative won’t falter like some similar well-intentioned initiatives. It’s no good just talking about trust, you need to follow through with action. Unfortunately, not all cybersecurity companies are willing or able to do that. Some stay silent; others nod their heads but do little else; still others are going against the tide.